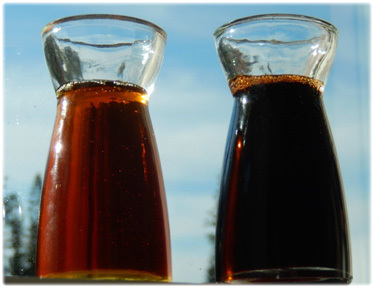 Sumas Mountain Farms - Blog - Could West Coast Maple Syrup Be A Nutrient-Dense Superfood? Would you like truly healthy meat for your pet? Could West Coast Maple Syrup Be A Nutrient-Dense Superfood? We're starting to produce small quantities of maple syrup from our Big Leaf maple trees. Our West Coast rainforest maples are different than the sugar maples back east. It's more difficult to tap ours because our winters are so inconsistent. Plus, the syrup is darker and has a more intense flavor, as I'll tell you about in a moment. I really enjoy strong-tasting foods, and so I prefer our syrup to the store-bought variety from Ontario and Quebec. But could there also be terrific health benefits associated with our extra-dark West Coast maple syrup? It turns out the research is yielding some exciting results. In recent years, specialists have been "discovering" the extraordinary healing powers of certain types of foods. Red wine. Fermented foods. Green tea. Berries. Grass-only beef. Lard from outdoor pastured pigs. And now, their attention has turned to maple syrup. The thing that is unique about maple syrup is that it's one of the only foods in the human diet which comes directly from a plant's sap. And the benefits of maple syrup are far more comprehensive than I had expected. Dr. Navindra Seeram is researching the benefits of maple syrup. Some of the research is coming from Dr. Navindra Seeram's maple syrup laboratory at the University of Rhode Island. Dr. Seeram already knew that maple syrup was a tremendous source of minerals such as zinc, potassium, calcium, magnesium and manganese. But he began analyzing maple syrup for additional antioxidant compounds and has now found 54 of them, including some which had never been found in nature before and have baffled scientists as to their function. 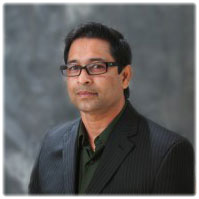 Of particular interest to Dr. Seeram is the presence of phenolic compounds in the maple syrup. Apparently these compounds are of the same chemical class as the extract resveratrol found in red wine and various berries. Although resveratrol has been shown to have myriad health benefits, researchers are still analyzing the maple syrup phenolics to determine their specific properties. However, Dr. Seeram's research describes some of these compounds as exhibiting "superior antioxidant activity." According to the research by Dr. Seeram, the darker the syrup the more phenolics it contains and the higher the nutrient content. This is particularly interesting to me, because it just so happens that our West Coast maple syrup is extremely dark. Off the chart, in fact. maple syrup on the right. See how dark it is. And then there's the taste. As you might expect, it is intense. Much different than the light, breezy taste of the maple syrup you buy in the stores. If I were to try to describe it, ours is the maple-syrup equivalent of a strong espresso. You will not find anything like it. There are at least two reasons why people eat. One is for health, and the other is for pleasure --- and ideally the two can go hand-in-hand and are complementary. There is great pleasure in knowing the food you are eating is healthy --- healthy for your body, and healthy for the planet. When we tap our own maple trees, we know that we are enjoying a product which is pristine and nutritious. We are drinking water that has been filtered and enriched by the tree itself, infused by the tree with a mindboggling array of healthful nutrients, and then concentrated by steaming it down into a thick, delicious syrup. And so therefore we should feel free to put maple syrup on all kinds of things, not just pancakes and waffles. Personally, my favorite way to enjoy it is to pour it over a bowl of plain rich yogurt. Sometimes I add nuts to it. I really enjoy it. We have some West Coast maple syrup available. Supplies are very limited. 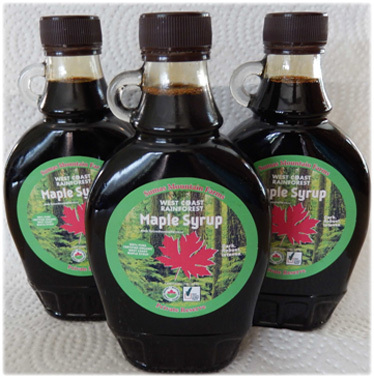 If you'd like to try some of our "West Coast rainforest maple syrup" from Big Leaf maples, we have a very limited supply of it here. To our knowledge, you can't get it anywhere else --- we're the only Big Leaf maple syrup producer on the planet which is also certified organic and producing commercially, even if on a very modest scale. Thankfully, there are some folks on the Island who are doing a fantastic job of promoting the concept of West Coast Big Leaf maple syrup, and they even have a maple syrup festival each year which we've been to and think is excellent. A number of them are producing on a small scale. Who knows, perhaps this could be the beginning of a new industry here on the West Coast of Canada. Regardless, I hope more people will start tapping the Big Leaf maples which grow in such prolific abundance here in BC. They are truly a delightful, nutritious, "hidden source" of natural goodness.